It is just impossible to pick one stamp set out of the 2013-14 IBC as a favorite stamp set, but I mean it when I say this is my favorite stamp set! 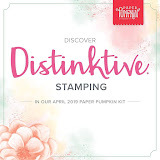 Maybe it is because of the 15% discount when you buy as a Stampin' Up! bundle. The coordinating Framelit dies are amazing and they really make a project POP! 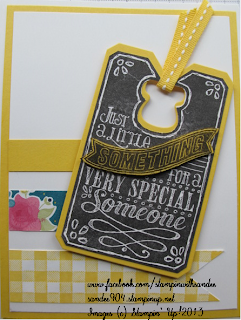 Our next project will be using the new Kind & Cozy stamp set, the new Gingham Stampin' Around Wheel and the coordinating Gingham Garden DSP (of course). No sneak peak yet. Come back later. Released August 1 -- The Holiday catalog is here!! If you placed an order from me in the last 6 months, your copy is on its way. And, if you would like a catalog, I will send you one without charge if you purchase $25 or more anytime before the catalog's expiration (or before they are no longer available for purchase). Released August 1 -- Best of 25 Years Stamp Set - Best of Halloween. Contact me via email or go to my online store at sandee904.stampinup.net (Item #134381 clear mount $14.95). 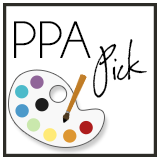 Available for purchase beginning August 9 – Stampin' Trimmer Rotary Addition and decorative cutting blades (see pp. 176 and 177 of the 2013-2014 annual catalog). I hope this motivates you to take a few minutes today to stamp! Feel free to contact me if you need anything.